Mobile apps for restaurants are one of the best tools for businesses with limited budgets to take the restaurant popularity and business to the next level. It is convenient for a user to reserve a table or order foods by making online payment. Such a mobile app helps to retain your customer, reach out to a larger audience and increase sales. The app can be developed in both Android and iOS platform, but it depends upon the audience network and the geographical area to whom you are targeting. If you are planning for a US based audience then you should go for iOS. If you are planning for India, UK or Singapore audience then Android platform is preferable. We can develop two separate apps for this one for business owners and the other for consumers. The business owners app should be specific to maintain a restaurant information and to facilitate quick services. The consumer app should have listing and order booking purpose with payment functionality. Also if you want these two application may be merged. To monitor both consumer and business owner, a Admin portal is a must. Which is important to manage the restaurant, consumer and generating statistical reports. The popularity of the application depends upon the quality, performance and better UX of the app. A Rich and Intuitive UI: Right from the onset, we build restaurant mobile app templates that lead to an attractive, smooth and intuitive user interface. We make sure to keep the UI clutter-free. Restaurant Filtering: Our restaurant mobile app must-have functions like Restaurant filtering on the basis of cuisine, delivery area, online payment options, and much more. Location based services:We integrate GPS based features such as selecting the restaurants based on the location etc. The user's’ geolocation is tracked by the app and relevant content is shown to them to make the user experience amazing. 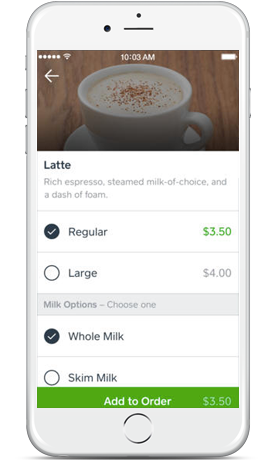 Order Tracking: In order to update the users with the status of their order, we integrate real-time order tracking in the app that takes the UX several notches higher. We make sure your app is no less than the market leaders such as FoodPanda and Zomato. Payment Options: Users prefer to pay online and they also require several payment options. To cater them well, we integrate different payment options like credit card, debit card, net banking, and obviously the mobile wallets. Easy Checkout: From adding the food items to the cart to the checkout, we ensure that the entire process is smooth. Short, and hassle-free. Whether you require Android restaurant app source code or an iOS app, this feature is optimized for all. Transaction History: To make the process of ordering through restaurant mobile app easier, we provide an option to visit the transaction history and order from one of their previous orders. How to get a "Table Reservation App"? After a long planning, if you are deciding to invest money in your mobile app then watchful about choosing the right mobile app development company. Look for good recommendations through reviews. The possibility of getting high quality app development service as per your business requirements. UX Design, functionality, visibility and security are critical factors and be sure to have those in your mind when making an agreement with the expert team who will be responsible for developing your mobile application. Preferably, it is very important that your mobile application supports almost all mobile devices, or at least several of them, as this will quickly win the market and expand. Average price for development of mobile applications by an expert team at US market starting from 300 to 1500 US Dollars depending on number of features. At Andolasoft have already developed a prototypes of the table reservation app on Android version. So we can use our existing codes with some customization to develop your dream app which saves a lot of time and money. Our hourly price is very competitive as compared to that of the US market because we can get the app done in offshore yet without compromising the quality. In addition, we preserve the security and intellectual property of the customer by signing NDA (Non Disclosure Agreement).